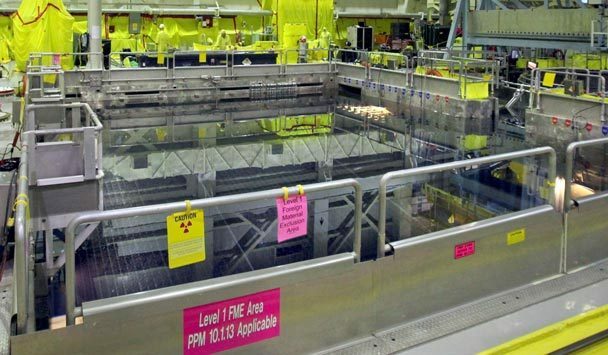 RICHLAND, Wash. -- Washington's only nuclear power plant is back online after the longest outage in the facility's history for refueling and equipment upgrades. Tuesday, the Columbia Generating Station connected back to the grid, and is operating at 22% of its capacity. "Normally a refueling power outage which happens every two years is approximately 35-40 days. This one, we originally scheduled for about 80 days, because we had a major project the replacement of a major steam condenser," says John Dobken the Public Affairs officer for Energy Northwest. However, this project went on almost twice as long as anticipated, taking175 days. Replacing the condenser cost the company $125 million, and with additional side projects, the total price tag was $170 million. The Bonneville Power Administration estimates that the extension cost Energy Northwest an additional $40-60 million . Dobken says the investment should pay itself back sooner because the new equipment will be more efficient. "By replacing the condenser, that's going to allow us to generate more electricity, than we did in the past...that extra electricity will help pay for not only the condenser project but the entire project over time," says Dobken. With such a long delay, we wanted to know what repercussions this could lead to financially, and if it would involve possible layoffs. Dobken says Energy Northwest has no plans for any cuts. (bluefish does the math: The 1,150 megawatt plant is expected to gain up to 12 megawatts of electricity generation. Assuming an electricity value of $35/MWh, paying for the additional $40-60 million dollar extension will take 11 to 17 years of operation.